The objective of the award is to encourage and reward outstanding young dental scientists. Candidates of this award present their study results in the regional (NOF, CED, PER) IADR meeting and an independent evaluation committee announces two NOF winners. 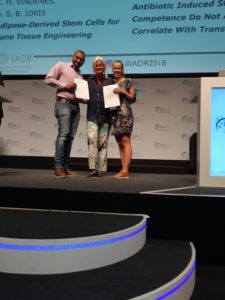 Each winner receives a stipend and automatic admission and expenses for travel and accommodation to attend the international Hatton Award Competition to be held at the successive year’s IADR meeting. 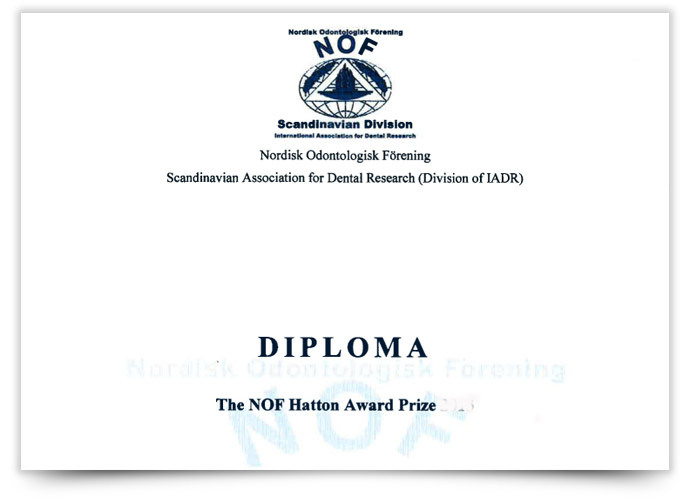 NOF sends the announcement of Hatton Award Competition to its members and Nordic universities, by email. Only members of NOF can participate in the NOF competition. If you have any questions about us, posts on our website etc, please don’t hesitate to ask us.